Geek Deal of the Day! Entire ‘Gilmore Girls’ Series is only $43.99! “I get no pleasure out of the prospect or the preparation. I’m covered in hives, I’ve showered four times, and for what? Some guy who doesn’t even have the brains to buy a Zagat so we don’t wind up in a restaurant that’s really just a front for a cocaine laundering ring?” The GEEK DEAL OF THE DAY is the Complete Series DVD set of ‘Gilmore Girls‘. This DVD set comes with a ton of bonus features, which you can see below. Unfortunately, this series is not on Blu-ray, and there are no plans for it to be released in high definition yet. Sure, the series is currently on Netflix, but it doesn’t have the xtras, and of course, at some point, it will leave Netflix. Point is, this set is so cheap right now, that it comes out to around $6.00 per season. You can’t beat that for one of the BEST shows on television. I’m a huge fan of the show and have watched it through several times. The characters are just so likable and the dialogue and writing are incredible. Take advantage of this AWESOME DVD set, because it won’t last long. ‘Gilmore Girls: A Year In the Life’ Trailer Is Here! ‘Gilmore Girls: A Year in The Life’ Posters Will Take Your Breath Away!!! We’ve Got A Teaser For ‘Gilmore Girls: A Year In The Life’!!! 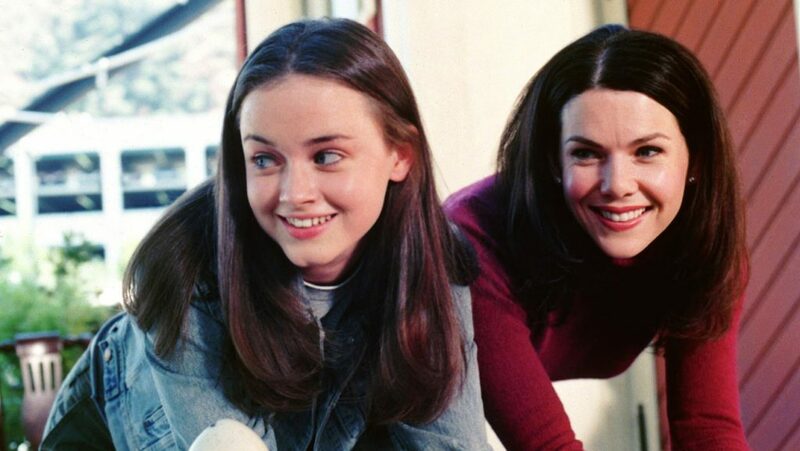 The Gilmore Girls Reunion Series Has An Official Title!!! This entry was posted on Thursday, May 5th, 2016 at 9:26 am	and is filed under News, Television. You can follow any responses to this entry through the RSS 2.0 feed. You can skip to the end and leave a response. Pinging is currently not allowed. « Slender Man Is Heading To The Big Screen!!! I also don't believe in drugs. For years I paid my people extra so they wouldn't do that kind of business. Somebody comes to them and says, "I have powders; if you put up three, four thousand dollar investment, we can make fifty thousand distributing." So they can't resist. I want to control it as a business, to keep it respectable. I don't want it near schools! I don't want it sold to children! That's an infamia. In my city, we would keep the traffic in the dark people, the coloreds. They're animals anyway, so let them lose their souls.